The purpose of these projects is to gather different forms of data, and come up with own way of visually representing the data. all different aspects of information together into a single piece. Gathering all the data process was the most challenging for me. 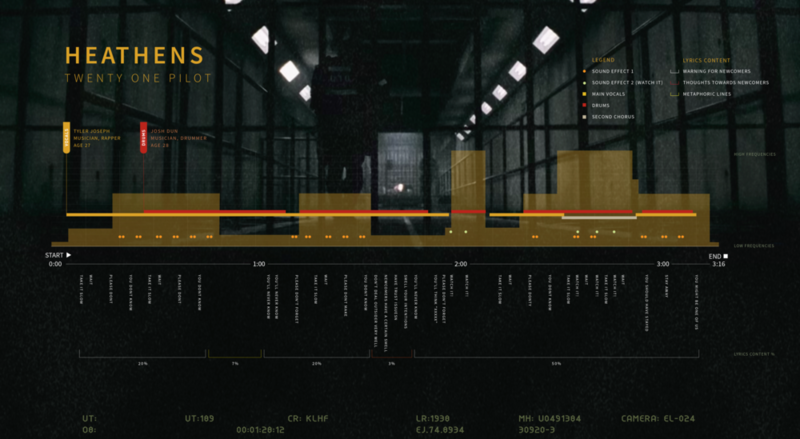 Details / Colors, lyrics and information about the artist has been visualized under the same concept with the music video. Details / On the top right of this infographic are legend indicate the elements, such as sound effects and hidden meanings of the lyrics.